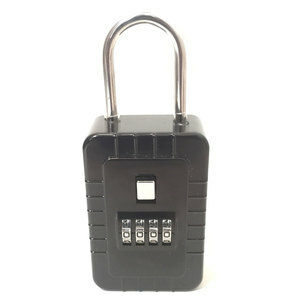 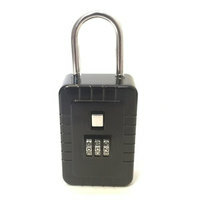 Real estate Key Lock Box features a 4 number combination. 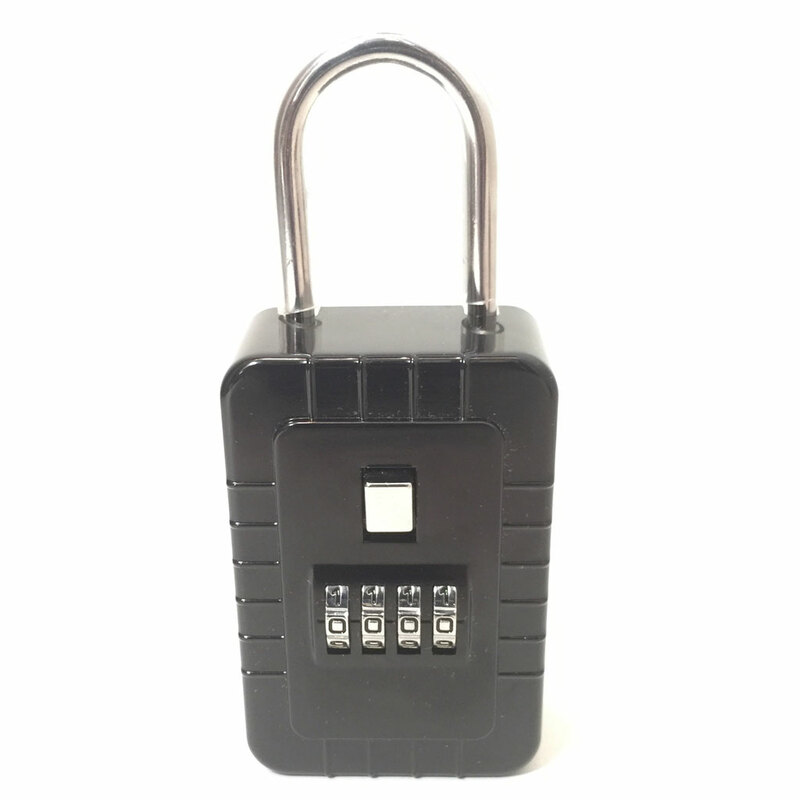 The box face is hinged to prevent loosing pieces. 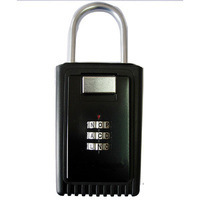 Key lockbox hangs from door knobs, pipe, railing or fencing. 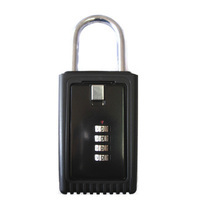 The door surface is protected from scratches by rubber bumper pad on back and clear plastic sleeve around shackle.